The Graveyard Shift *Classic Edition V.07c - CAKE FOR EVERYONE! A cake, a cake, my kingdom for some Cake! This is for you the Late Night/Early Birds/Future Warriors! Hello fellow TAYers! And welcome to the Graveyard Shift for your second slice of TAY: Open Forum. Where even you, the lowly cake-serfs can take up the sword or bow, and eat cake as well! Tonight's Shift... CAKE FOR EVERYONE! But not just any kind of cake! Its a special kind, with magical properties unknown to the human pallet, and NO its not human flesh. Fun fact: we taste like bacon to our future robotic overlords! The core concept of this delightful frosted game is the damsel in distress or her majesty that MUST FEED at all times. Not only satisfying her cake crack addition, but making it extremely difficult to be capture/rescued as she gets.....fat. All is fair in cake and war. But its not all about cake, there is also wood, and stone to collect! 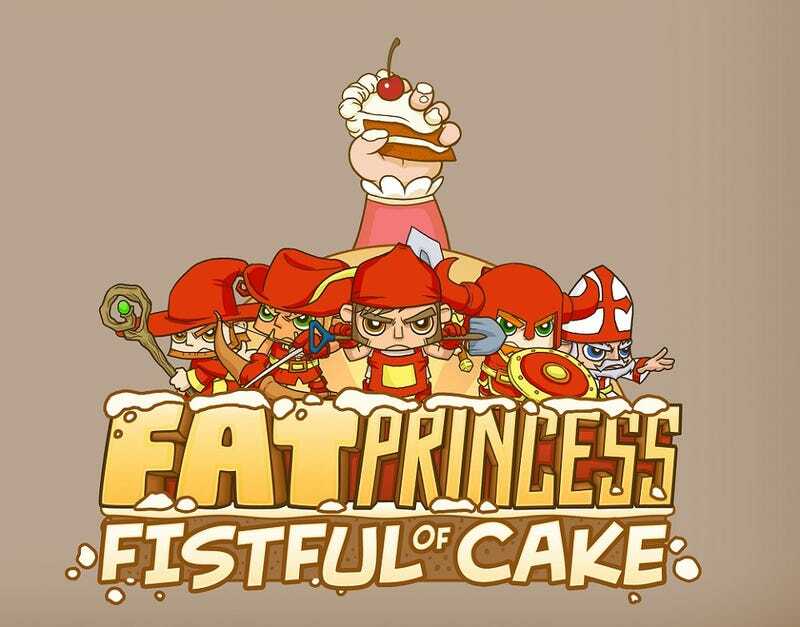 That's right, you after all are a loyal cake-serf who must defend the castle at all cost, and to do so you must collect resources! Yes, just like Age of Empire in the scene that you need resources to upgrade the combat system that are your barracks...well actually it a hat system of different roles. You can be a warrior/lancer, priest/satanist, fire/cold as ice wizard, archer/shotgun, and my favorite class the worker/bomberman. A vety chaotic game, and even more so with ninjas and pirates running around. But enough about that, LET HAVE SOME LATE NIGHT CAKE! What? You are confused? Here have some cake, CAKE FOR EVERY ONE! The Graveyard shift is not responsible for your late night procrastination, job loss, failing grades, and CAKE ADDICTION! Don't forget TAY for the TAY:Open Forum. Or TAYClassic for the old type of writting.